Get ready to be transported back in time with this exquisite collection of works by Old Masters. For those that aren’t acquainted with the name Hessink’s, now’s your chance. Hessink’s is an auction house that specialises in fine art. Though based in the Netherlands, they often host auctions in London – as is the case with their upcoming sale on 27 September. 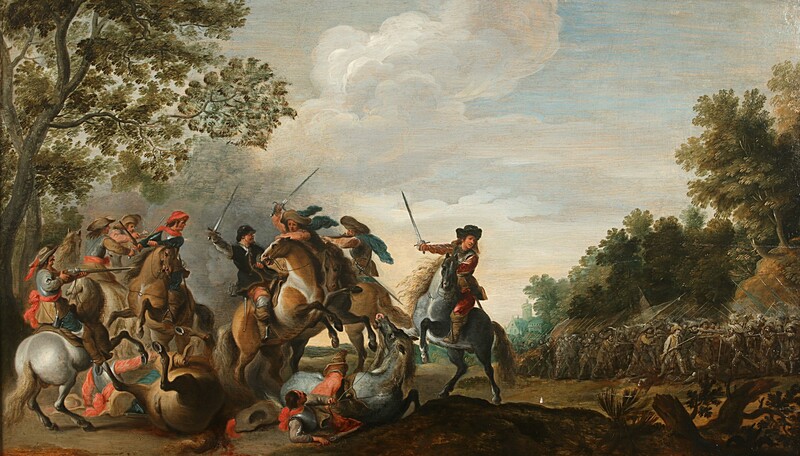 This ‘Old Masters’ sale includes a stunning collection of 80 lots, including works by masters such as Frans Hals, Rembrandt van Rijn, Jean-Baptiste Dussillon, Eustache Le Sueur and Gerard van Honthorst. Prices range from as little as a few hundred euros, perfect for new buyers to discover the beauty of collecting Old Masters, to around tens of thousands of euros, offering a chance for those more established buyers to expand their collection. We’ve taken a gander at their collection and compiled a list of our favourite few, though their selection of treasures certainly doesn’t end end with our lineup. We begin with Jean-Baptise Dussillon’s Church Interior. Dussillon (1748-1788) was a student at the Ecole de Dessin in Lille, France. In his later life, he opened a shop where he sold all sorts of painting equipment, as well as running a confectionery shop. When it comes to his paintings, he is known for his grisailles, church interiors, landscapes and still lifes. Church Interior is a stunning work. 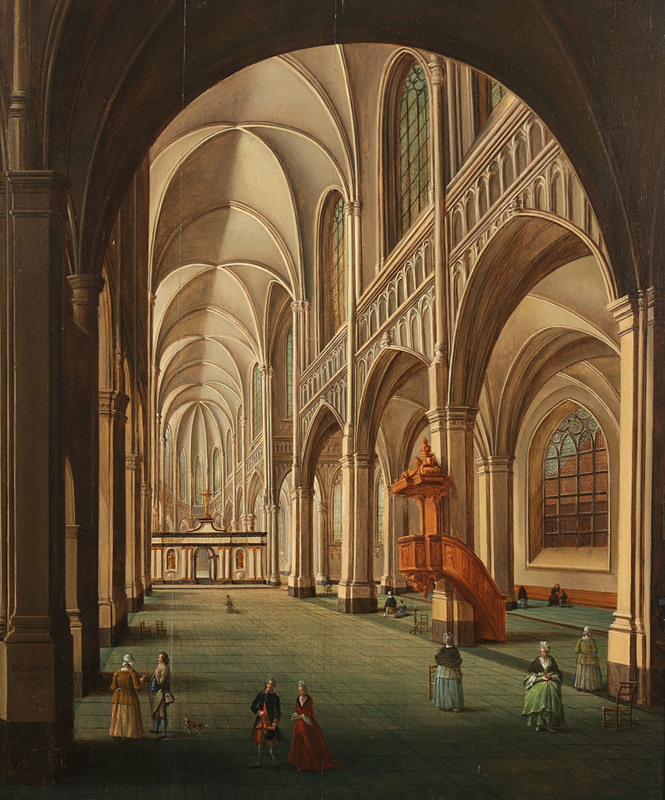 It utilises and capitalises on the geometry of the church, with the vanishing point leading to a depiction of the crucifixion at the church’s altar. Though Dussillon has used his mastery of the oil medium to highlight the church’s magnificent interior, particularly the ceiling and nave and windows, he has embellished the design with church visitors (including a loyal dog, possibly a spaniel). Some are in prayer and others in conversation, contributing to the notion of the church as not only a religious dwelling but also a meeting point for the 18th century people of France. Eustache Le Sueur (1617-1655) was a French artist and one of the founders of the French Academy of Painting. As with this work, he is best known for his religious paintings. During the 1640s, Le Sueur’s style changed as he began to move away from the baroque teaching of Simon Vouet, and towards Raphael and his more complex compositions, which formed Le Sueur’s main influence. 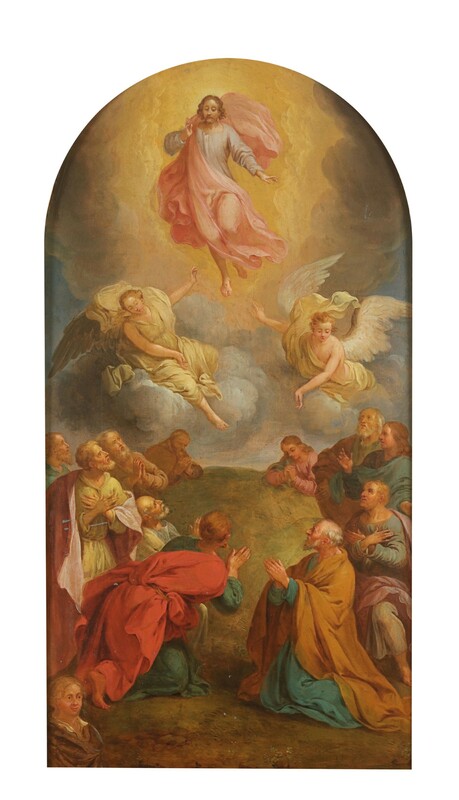 This Ascension of Christ is an oil on metal and features two angels at the feet of Christ, who’s ascending into the sun and clouds of heaven. 12 figures, presumably Christ’s disciples, rest on a hilly bank of grass below. Le Sueur’s mastery here is arguably in his colour palette: using soft pastels and glowing golds for the celestial figures, and darker, earthier tones for those on land. 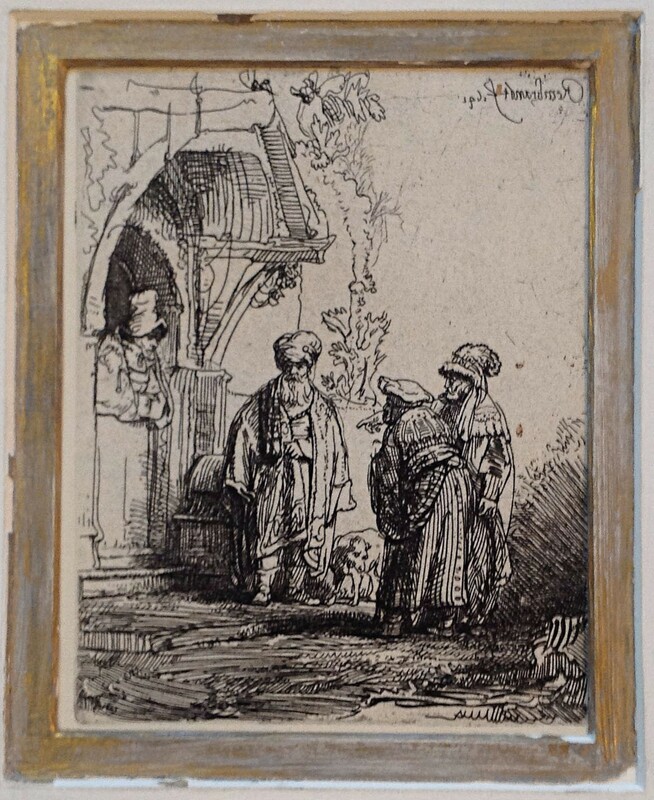 With provenance of the Cambridge Society, Eton, this etching is typical of Rembrandt van Rijn’s (1606-1669) drawing style, which involved emphasised shading and cross hatching lines. The subject is ‘three oriental figures (Jacob and Laban)’ and a dog outside a dwelling. Most of the detail is given to the figures’ costumes and beards and the pavement on which they are standing. You’ll find viewings for these lots, plus all of Hessink’s Old Masters London collection, taking place in St. James’s.